Steve Michie undertakes both domestic and commercial electrical contracting with no job too large or too small. Call for details. If you’re looking for an experience electrician in the Oswestry and surrounding area then look no further. 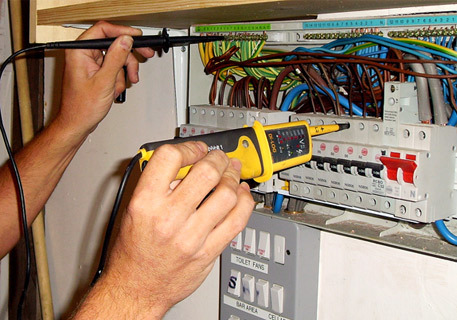 We carry out a wide range of electrical work both for domestic customers and business clients. No job is too big or too small and we can carry out jobs ranging from replacing a plug socket to a complete rewiring of the premises. We undertake electrical jobs of all sizes, completing on time and to the highest standards of safety & quality. In addition to carrying out new installations, we can also rewire existing properties bringing them up to modern standards. We offer a range of Wi-Fi Solutions to provide complete & reliable coverage of your premises. We have fitted numerous commercial & domestic fire and smoke alarm installations over the years.